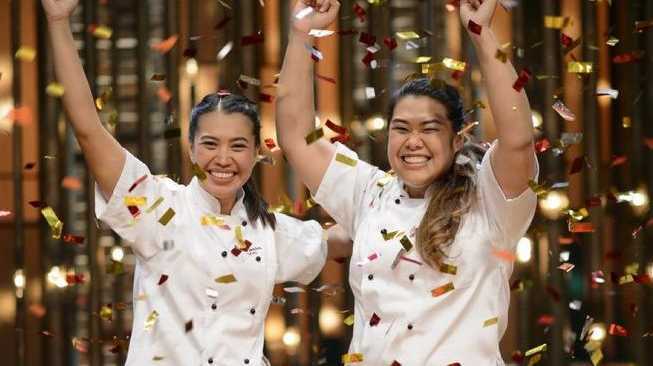 SISTERS Tasia and Gracia Seger are a $250,000 richer after winning My Kitchen Rules tonight. The spice queens took out the reality cooking show's seventh annual title after a tightly-contested five-course cook off against Adelaide couple Carmine and Lauren. The sisters plan to start their own business based on Indonesian street food and have already announced they are releasing a range of Asian sauces (which Colin Fassnidge has already said he'll buy). 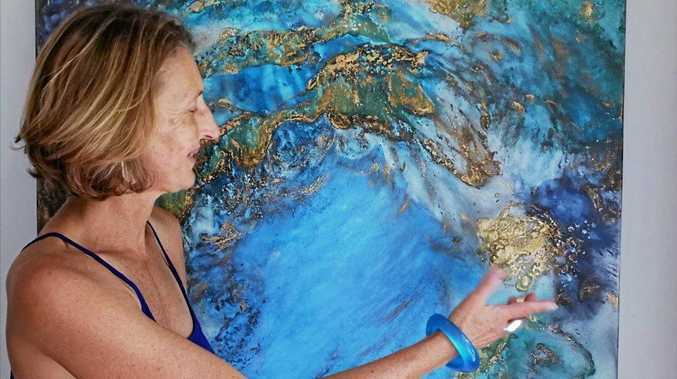 "I think it's the greatest achievement we've ever accomplished and we did it together and that makes it more special than anything else," Gracia, 24, said. "We did it and we did it without killing each other (laughs)." In their six-point victory they took the judges on a flavour tour of Asia and earned three perfect scores of 10. Despite sending so many teams home throughout the competition, "terminators" Carmine and Lauren couldn't dispatch the bubbly sisters in the two-hour grand final. Both teams got off to a strong, confident start, but it was Tasia and Gracia's first entrée that made the biggest impression. "This is one of those dishes that goes bang… and says get ready we've got your palate engaged so get ready," Guy Grossi said. The sisters' "simple but good" second course packed a bit too much of a hit for many of the diners. "I feel like my lips have expanded; they're burning from the chili," Manu Feildel said. Carmine and Lauren were scrambling to crisp up the skin on their pork belly. But lucky they just got away with the last-minute fix. "I think it's a very well balanced dish," Fassnidge said. The Adelaide couple was battling the clock again for the third course but served up a textbook pasta dish. Tasia and Gracia's bold flavours again seemed to steal the show as another hit of chili in their balado sauce raised eyebrows. "It's got a real hit of chili… it really wakes you up," Fassnidge said. "It's all about the sauce for me." The sisters were feeling the heat in the fourth course though, leaving their duck to the last minute. "These flavours are outstanding," Karen Martini said. Liz Egan agreed and said she was thankful for the white rice, an island of calm in a storm of spice. 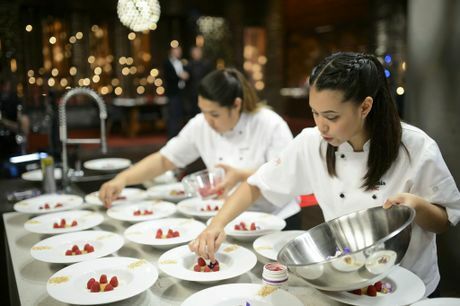 Carmine and Lauren came out guns blazing in the final course, serving up their modern interpretation of a Cherry Ripe, but it wasn't enough to outshine the spice queens' calming coconut dessert.